We sold this channel dock system to Darrell on the Oregon coast. The dock system comprised of one 8×12’ dock, one 4×12’ dock and four piling guides. 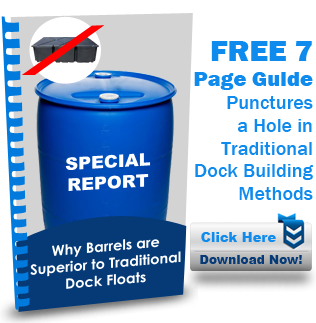 The system used a total of 18 barrels and gave him over 120 square feet of dock space. This dock was installed in proximity to brackish waters making our ABYC saltwater approved design very important for his location.